On the 23rd April Cotterstock Village Hall was filled to capacity with ticket holders who put on their favourite pair of shoes to attend a talk on the history of footwear. The excellent talk was prepared and presented by Anne Cotton, owner of Cotton shoe shop in Oundle. R C Cotton has been trading in Oundle since 1871 and is one of the oldest family owned shoe shops in the UK. 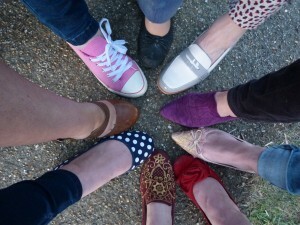 With a long family tradition in the business, Ms Cotton was well placed to talk about the history of footwear, starting with the practice of footbinding in China from over 1000 years ago, and ranging over the centuries to modern style icons. The event was organised by the Parochial Church Council assisted by residents of Cotterstock, who made trays of canapes for 85 people. The evening raised over £1800, including proceeds from a raffle, with all takings going to St Andrew’s Church in Cotterstock. The event was held specifically for the bells of the church, which have been unusable due to long term degradation. 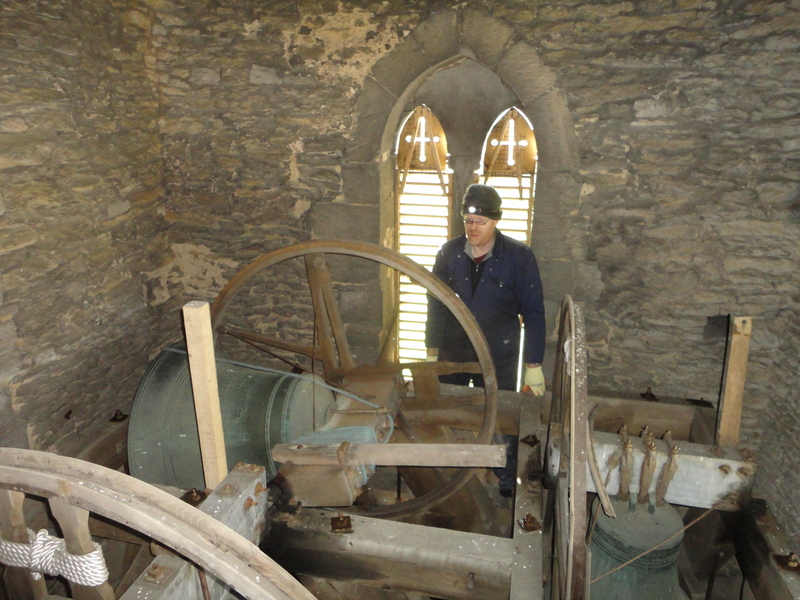 The funds from the event allowed remedial maintenance work on the church bells to take place on Saturday 25 April with two directors of John Taylor & Co Bell Founders of Loughborough guiding members of the Peterborough Guild of Bellringers and other helpful volunteers from the village. The bells can now be rung again, though only on special occasions, such as special services and weddings. A major overhaul of the bells is still needed within a few years, and is estimated to cost in the region of £50,000 to £100,000. Efforts will soon start on applying for grants to help cover the cost. Most grants ask for a percentage of the funds to be sourced locally, and a considerable amount of money will need to be raised by the local community.